Our expert bathroom fitters have years of experience installing beautiful bathrooms across the Edinburgh area. We know how important it is to have a bathroom that not only looks fabulous but has quality built in. Bathrooms are one of the most hard working rooms in your home and it is important that the fitting is of the very highest standard. At Home Trades Services we only ever use highly trained and experienced bathroom fitters. Our aim is to leave you with a beautiful bathroom that is built to last. Whatever your new bathroom needs are, we will be able to help. From cloakrooms, wet rooms, shower rooms and bathrooms, we do it all. We can manage your project from start to finish, ensuring you get the beautiful finish that you deserve. Before your work begins one of our highly professional team will visit you to survey the work at a time that is suitable for you. We will take the time to discuss your requirements in as much detail as you like. With a wealth of experience and years on the job we can also offer inspiring ideas and practical solutions to help you get the finish that you want. We provide all the necessary services to ensure your bathroom installation covers everything you may need: electrics, plumbing, carpentry, plastering, building and tiling. 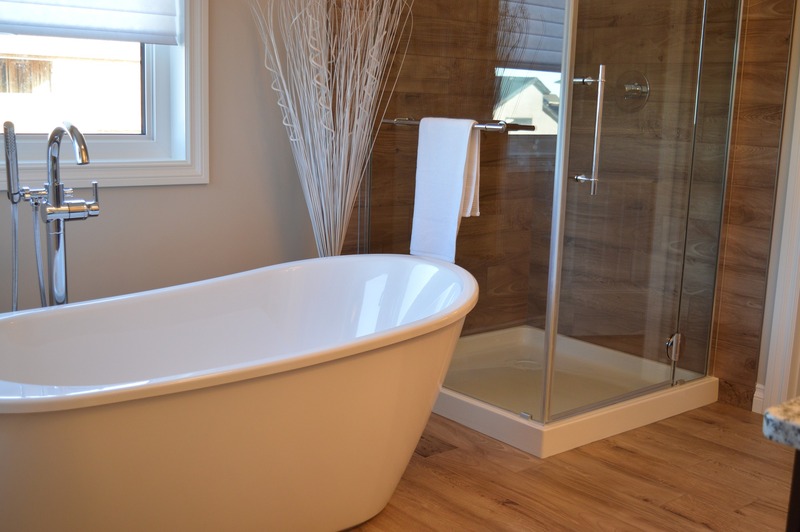 Home Trades Services will manage your project from start to finish to ensure that your bathroom is installed to your complete satisfaction. It is only when you are 100% satisfied, that we will consider our job done! We also offer a one year's workmanship guarantee so that, even after we have gone, you can be confident in the work Home Trades Services has done for you.